The cool can send the tingling yet caressing thrill-giving-shock to goose bumps which is anticipation touching as if in surprise. Rolling verdant hills might seem inspiring vagrancy in even the most duty-bound of souls. The pleasant feeling gets hard to shrug off long after the trip is happily consummated. This is what happens when calling to a place like this is answered where happiness is never compromised. 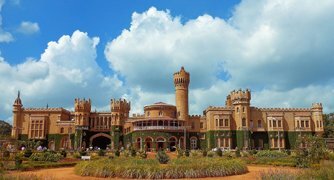 Rather every facet with which Nandi hills is related adds to the overall experience of the place. The word 'Nandi' reverberates the feeling of power, authority and utmost loyalty as every Hindu with the knowledge of God Shiva and His aides would readily tell. People touring Nandi Hills in Karnataka for a rendezvous with Nature feel the same compelling presence; only religious ones can relate to the character Nandi in holy texts and others can simply loose themselves in the wind whirling experience of the southern hills. At above 1478 m altitude, the hills are sprawling greens spread as far as eye could see. History tells about the place being summer retreat of Tipu Sultan and was known by its name- Nandidurg, then taken from a very old temple of Nandi on the hills. 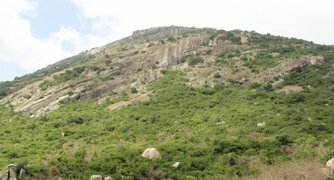 The temple still stands as the testimony of time and beliefs people cherish and is one of the important aspect of Nandi hill tourism just as another old Shiva-Parvati temple. The sylvan place summarizes what exactly it is to be in Natural Wonderland. Hence, the reason why many political delegates and 'important' individuals chose this place for resting is implied in the way the place really is. Know more about it here. The temple is older by more than thousand years but still has the artistic work in carving of metal and stone, much appreciated by the admirers and devotees. Made in Dravidian style of architecture, the presiding deities of the temple are Bhoga Nadishwara and Yoga Nandeeshwara. To enjoy the holiday spree in Nandi hills with wildlife in focus, this place is all anyone could ask for. The lake is among those scenic spots where people come to revere Mother Nature the way it is in the water as well as in the surrounding trees, air and other aspects of this exceptional landscape. This is the place where death punishment to the criminals in the reign of Tipu Sultan was executed at about 600 m altitude. The cliff ensured a painful yet fast death installing dread in the spectators and those who learnt about it by various sources. Palace is although not open to visitors, the ruins of the forts could still be seen from a distance. The place was once taken as a house for retreat by the Jawaharlal Nehru which is now used by horticulture department of India as a guest house. Sage Ramakrishna who was perpetrator of Hinduism and staunch devotee of Goddess Kali meditated here in these cool caves. 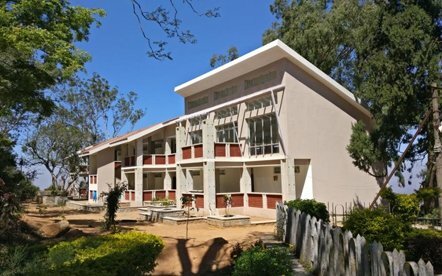 The house of Sir M. Visvesvaraya, in Muddenahalli is now a museum that can take visitors through the life journey the architect of who designed Karnataka as we recognize it today. Adding these places in itinerary is not an option but a routine when visit. Instincts are first to tell that the trip going to be real good. A nearby village with extraordinary natural nonchalance towards whosoever comes here is absolute bait for tourists. The home town of M. Visvesvaraya is also a place of tourist importance hence not to be missed. Some 3 Km away from Chikballapur, this place also presents its case to be attended by the unsuspecting judges i.e. tourists. 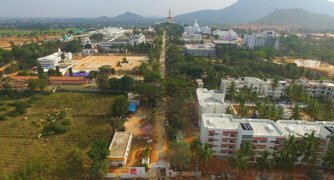 Just 65 Km away from the Nandi Hills, the capital city of Karnataka could not be left without being toured, especially along with Nandi hills tour package, more so when tourists are not southern locals. Any journey begins with being stationary, be it home from where the distances are covered till Nandi hills or the chosen accommodations from where the ride to nearest tourist spot and followed by the others is undertaken. While tourist destination is an important of any place, the role of a good stay place cannot be denied, which is why hotels in Nandi hills are often pre-booked by vacationers. Even the weekenders take caution of getting room booked so as not to be disappointed at last moment. As per the weather chart goes, summers win over the other seasons as is the case with all the hill stations however winters can also bring fresh change. Rainfall should be avoided is traveling with kids or grand elders. Dussehra festivals can be enjoyed a lot so it is also a great time to be in Nandi hills. How to Reach Nandi Hills? Bangalore is the nearest airport, just 65 Km before taking road route to Nandi Hills. 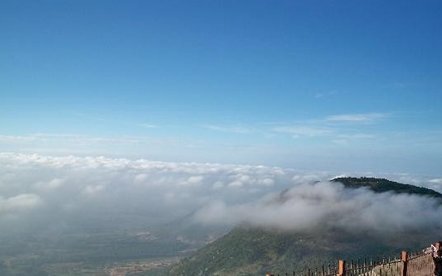 Nandi hills is 9 Km away from the Chikkaballapur railway station which is connected from Bangalore. 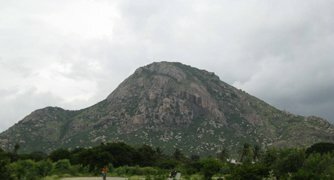 Bangalore-Hyderabad National Highway is the best route to reach Nandi hills which is connected to many cities of Karnataka.